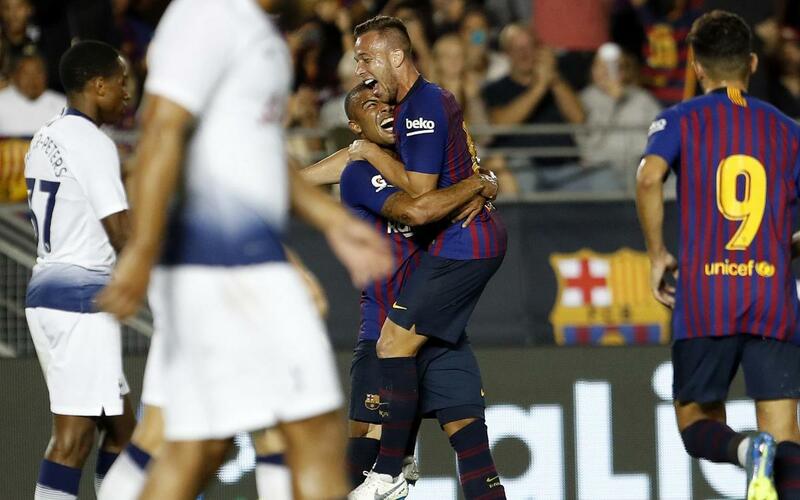 Arthur inspired FC Barcelona with a super performance on his debut against Tottenham Hotspur (2-2, 5-3 on penalties), capped by a wonder goal. The young Brazilian midfielder made it 2-0 in the 28th minute, with a shot into the top corner from just outside the area. Wearing No.4, he was very comfortable throughout, and a key part of Barça's dominance in the first half. His best moments from the game are captured in the video. Don’t miss it!